At Bowen Ten Cardani, PC we deliver experienced, compassionate, and effective advocacy at a good value. At Bowen Ten Cardani, PC, you will find Richmond lawyers with over 75 years' combined experience, ready to make your needs our priority. When you seek counsel from our team of lawyers, we will listen attentively to your concerns. We pledge to be responsive to your needs. You work hard for the money you spend on legal representation. We promise to work hard to obtain the best possible results for your individual case. We are committed to delivering the value you deserve in legal representation. Skilled guidance is essential to knowing your rights and obligations with respect to your family. We present the strongest defense strategy to obtain the best possible outcome for your case. Fighting traffic violations can prevent costly consequences that are almost always more expensive than just paying the ticket. Our bankruptcy lawyers help individuals and families secure a fresh start, free from overwhelming debt. An Experienced Personal Injury Attorney Can Help You Secure the Compensation You Deserve. Make the choice to protect your loved ones with well prepared life-planning documents, including wills, trusts, POA and AMD. We represent people and businesses dealing with damage to their property, business defamation, slander, construction disputes, and other property ownership issues. 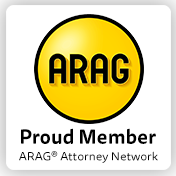 Visit our Attorneys page to learn about our experience and how we can help you. At Bowen Ten Cardani, our experience tells us that choosing your attorney carefully now can protect you from legal difficulties down the road. The right legal remedies can help you move forward in life with peace of mind. To schedule an initial consultation with an experienced attorney, call 804-767-6850. You can also email our firm for an appointment. "This firm provided us with reassurance during an overwhelmingly stressful time." "Bowen Ten Cardani provided care and attentiveness to our situation." "My lawyer let me know what was going on from the beginning to the end."